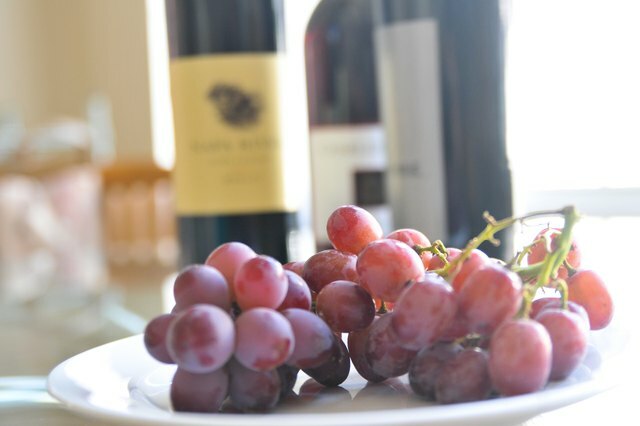 Dry wine contains the maximum amount of alcohol possible for the type of grape used to make the wine because the juice is fermented until all of the grape’s natural sugar is consumed, according to the O Chef cooking website. Red wines are primarily dry, except for sweet dessert wines. Some people confuse the presence of tannins, natural compounds found in grape skins that can make a mouth feel dry, with a wine that contains little to no sugar. 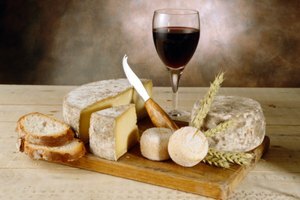 Best paired with meats, hearty meals, bitter greens or chocolate and cheeses such as brie or cheddar, Cabernet Sauvignon has a peppery, sometimes bitter or sharp flavor. Cabernet Sauvignon grapes are grown all over the world and produce a full-bodied wine that has an alcohol content between 13.5 and 14.5 percent. Cabernet Franc is usually combined with other grape varietals, such as Cabernet Sauvignon or Merlot, and rarely used on its own. The variety of wine with which Cabernet Franc is mixed will determine which foods the blend pairs with well. 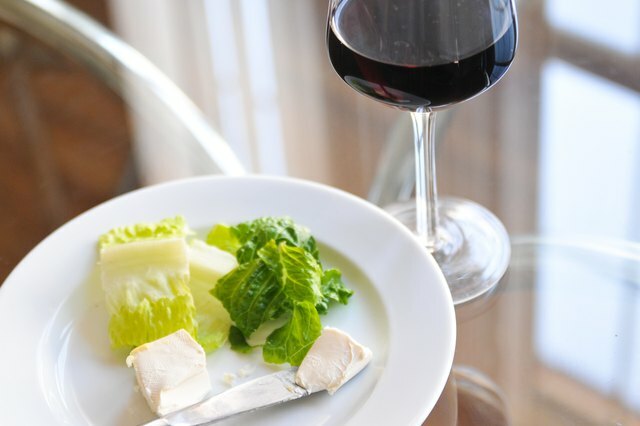 For example, a Cabernet Franc blended with Cabernet Sauvignon will pair well with hearty meals, bitter greens and brie. A wine made entirely of Cabernet Franc pairs well with most cheeses, pork, ham and tomato-based dishes. 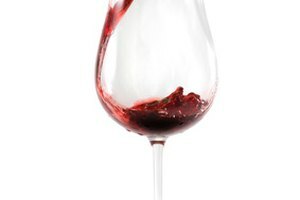 A light- to medium-bodied wine, Pinot Noir has a variety of flavors such as fruity and herbal. The Pinot Noir grapes produce complex wines, with famous productions coming from California and France. 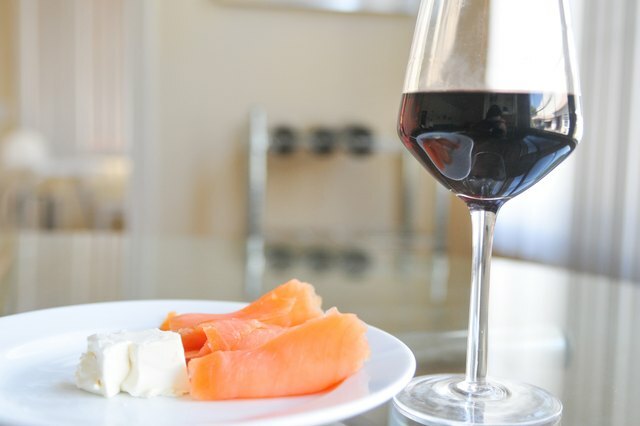 The wine pairs well with mild, creamy cheeses, tomatoes, salmon and lean meats. 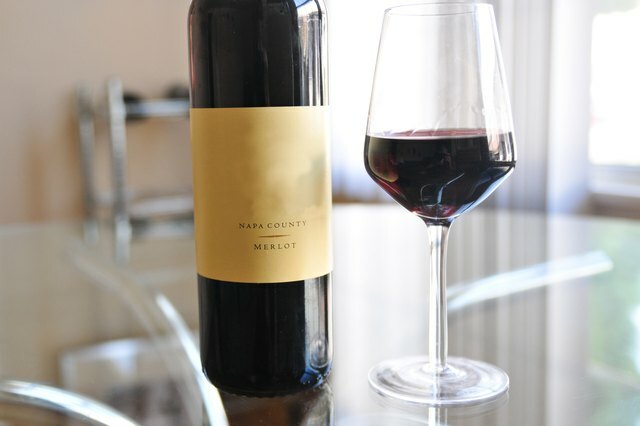 Merlot has a low acid content, smooth flavor and hints of plums, currants and other berries. Because of the low acid content, Merlot is a dry red wine option for those who may not like strong red wines. The varietal pairs well with a wide array of foods including steak, lamb, seared tuna and cheddar cheese. Choosing a Sangiovese wine presents a variety of options for flavor based primarily on the age of the wine. Young wines of this varietal feature fruity and spicy flavors, while the aged Sangioveses take on the flavor of the oak barrels in which they mature. 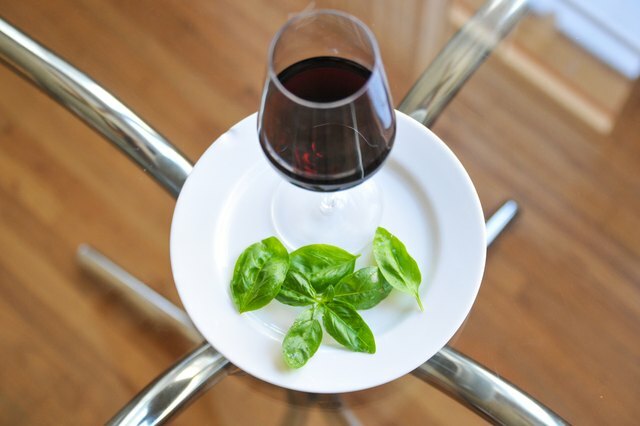 The acidic wine pairs well with roast chicken, tomato sauce, and herbs such as basil and thyme. Syrah/Shiraz wines have a high tannin content combined with a strong fruit flavor to balance the wine. The wine can be used on its own or in combination with other grapes. The varietal ranges from acidic to fruity and pairs well with barbecue, Mexican dishes, black pepper and beef. Grown in California, the red Zinfandel grapes produce a range of flavors from spicy to fruity, with strong berry flavored wines produced in cooler areas and spicy versions in warmer climates. While White Zinfandel is sweet, the red version is dry and pairs well with everything from turkey and lamb to chili and aged cheeses. 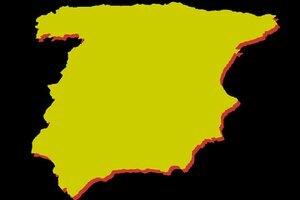 Although the Tempranillo grape is now grown throughout the world, it is largely associated with Spain, where it originated. This wine may be aged or served young, and varies from mild to oakey in flavor. Tempranillo complements Spanish foods, mild blue cheeses, cured meat and grilled fish. O Chef: What is a Dry Wine? 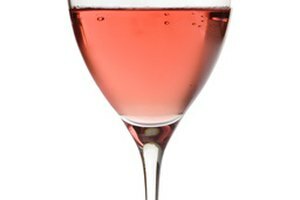 Wine Definitions: Wine Tannin-What is It? What Is a Shiraz Wine?